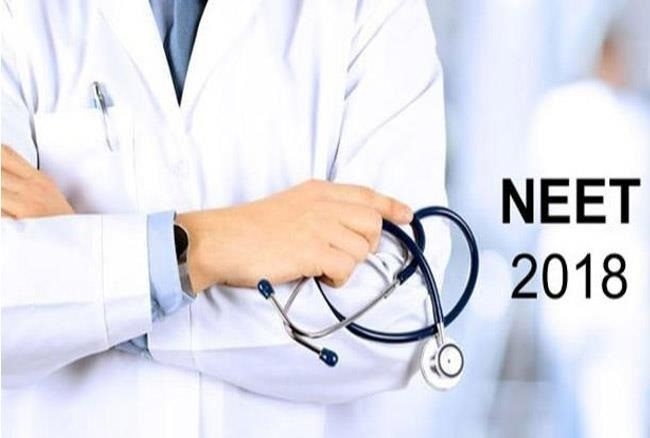 NEET Exam 2018 dress code rules and Barred items in Exam Hall. These are rules for NEET 2018 exam dress Code. Dress code rules give the ideas about what type of clothes are allowed to wear for the NEET Exam Hall. 1. According to NEET 2018 Dress code rule aspirants can wear light cloths which have half sleeves. 2. Avoid the clothes which have big buttons, flowers, brooch or badge etc. 3. Salwar and trouser is allowed for NEET 2018 Exam as per the board rules. Here is the list of barred items that are strictly not allowed in NEET Examination Center in any circumstances as per the NEET 2018 Exam rules given by board. 1. Item like textual materials (printed or written), calculator, writing pad, pen drive, eraser, log table, electronic pen or scanner, scale, plastic pouch, pen, Geometry/ pencil box, bits of paper etc. 2. Any type of bracelet, Watch/ Wrist Watch, camera etc. 4. Items like wallet, cap, Handbag, Belts, Goggles etc. 5. All Accessories like Badge, Nose Pin, Ring, Chain, Brooch, Necklace, Pendant, etc. 6. Any communication devices like Bluetooth, Earphone, Microphones, Mobile phone, pager, Health Band etc. 7. Any eatable items, Water Bottle tec.